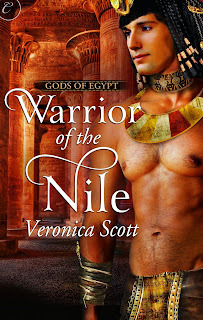 They always say you should write the book you can’t find enough of on the shelf and for me, that would be romances set in Ancient Egypt, with the gods actively taking part in events. I write in the 1550 BCE time frame, a period of great change for the Egyptians as they threw off a foreign invader. The true events of history create many plot opportunities. I do tons of research in order to put my characters in a setting which feels real and evocative of the time but I also take some deliberate liberties with history. My Pharaoh is a composite of several men who sat the throne at this time, for example. One of the best things about employing the Egyptian gods as characters is that there were many varying legends and beliefs about each deity, so I can pick and choose the aspects that work best for my story. A true lightbulb moment for me was when I was studying a statue of Sobek, the Crocodile God, in his half human form and realized I was looking at a shifter. While the Egyptians never depicted him in full human guise, what if that was just because they never happened to see him that way? And what if he enjoyed walking as a human on his favorite part of the Nile’s riverbank at twilight and happened to hear a priestess singing one of his favorite paeans? (Crocodiles have very sensitive hearing as it turns out.) 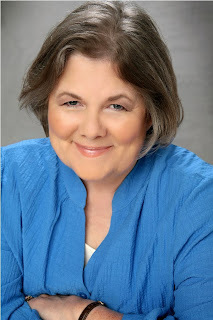 Romance ensues…that was the beginning of my debut novella, Priestess of the Nile from Carina Press. Sobek has his challenges, understanding the human heart and what it means to truly love. And finally, in Dancer of the Nile, which comes out October 15th, I had great fun with Renenutet the Snake Goddess. She was particularly involved with the harvest but as a woman with the head of a cobra, she has her deadlier aspects, believe me. Some Egyptian myths designated her as the wife of Sobek, but I chose to go with the idea they’d been lovers at some point, not married. As Sobek says, “Snakes and crocodiles, we’re among the oldest creatures. We took pleasure together from time to time. “ Yes, I’ve made Renenutet the ex girlfriend in effect. Veronica is giving away an Amazon gift card to one commenter!